Don’t forget to enter the 12 Days of Cookies FREE GIVEAWAY DRAWING! 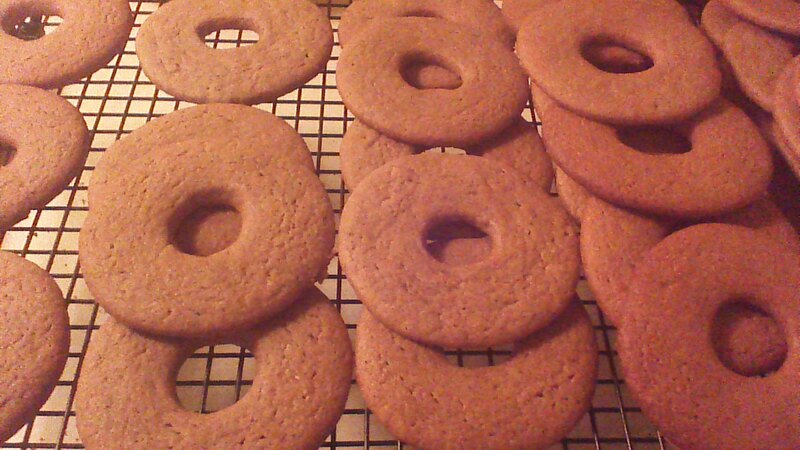 Speculaas Wreath Cookies were the most popular cookie on my dessert table at a recent holiday event. I do hope you’ll give them a try! Speculaas are Dutch spiced cookies in a wide variety of shapes, the most common of which are better known as windmill cookies. Whether you cut them into wreaths or windmills, these delightful cookies get their signature flavor from a spice blend called Speculaaskruiden. It’s easy to blend yourself (see recipe below). 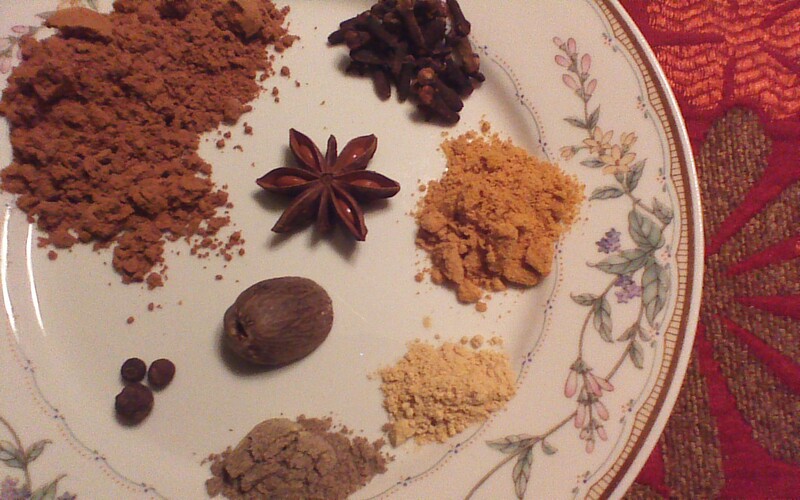 In a pinch you can substitute pumpkin pie spice mix, though the flavor will be slightly different. Step 1) Cream together butter and brown sugar. Add egg and mix well. Step 2) Add flour, baking powder, salt, and Speculaaskruiden. Mix by hand; dough will be stiff. 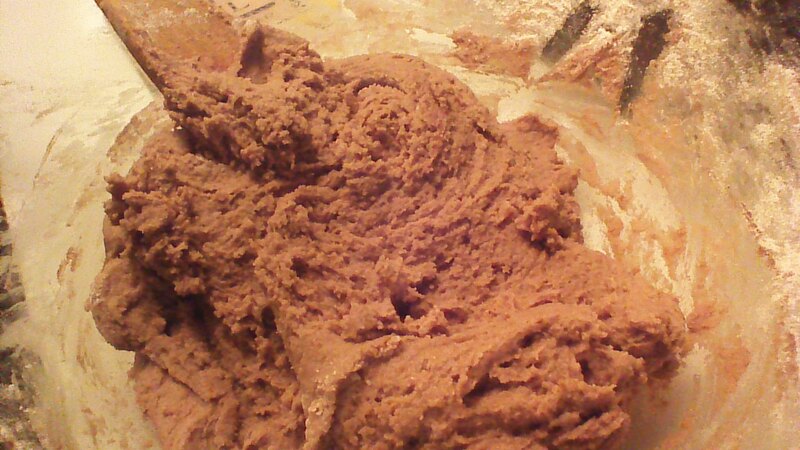 Step 3) Chill dough for at least one hour before rolling 1/4 inch thick on a floured surface. Cut dough into wreath shapes, and carefully transfer to cookie sheets lined with parchment paper. Step 4) Bake in preheated 350 degree oven for 12 minutes. Cool on a wire rack. Step 5) While cookies are cooling, blend together butter, powdered sugar, and milk to make icing. Spoon 1/4 cup of icing into a plastic sandwich bag, and snip a tiny corner from the bag to make a homemade pastry bag. 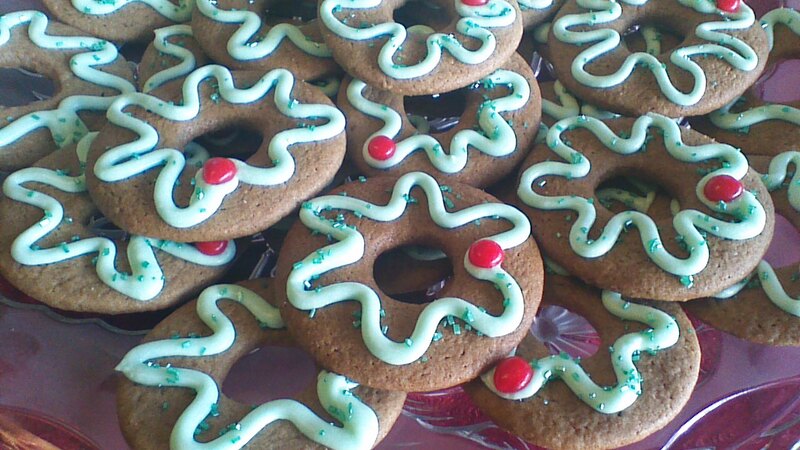 You should be able to easily squeeze icing from the bag and onto each cookie wreath, as shown above. If the icing is too thick, add a bit more milk. If the icing is too thin, add a bit more powdered sugar. Step 6) After piping icing onto your cookie wreaths, sprinkle them with green sugar crystals. Place a cinnamon candy on each wreath. Beautiful! This entry was posted in baking, Cookies and tagged baking, Books, children, Christmas, Contests, cookies, Cooking, desserts, Family, Food, Free, Freebies, frugal, gifts, Giveaways, holidays, homemade, Homesteading, party, Santa. Bookmark the permalink. Oh we are thinking alike! We are going to make some this week. Your wreaths are very cute! We bought some special cookie cutters this year and can’t wait to make vegan speculaas! Yay!